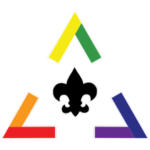 Home › Communications › Lodge Leadership Development (LLD) This Weekend! This Saturday, October 27th there is a Lodge Leadership Development (LLD) day from 9AM-5PM at Greater Reading Chamber- Wyomissing Training Center, 49 Commerce Drive, Wyomissing, PA 19610. If you haven’t signed up yet, please register ASAP. WHO SHOULD GO? EVERYONE SHOULD GO – especially if you want to have a Chairman position on the Lodge Executive Committee (LEC). Everyone who is planning to help with Camp Promotions & Elections (CP&E) should be there. Troop Team Representatives should be there. Anyone that wants to learn more about the Lodge operations or general leadership skills should be there. All lodge members should be there! Lunch will be provided for all attending. Please register for this event, there’s no cost.